Much like my other flavored waters from back in the day, this infused water was lightly flavored and nicely refreshing. And I felt super frugal too. 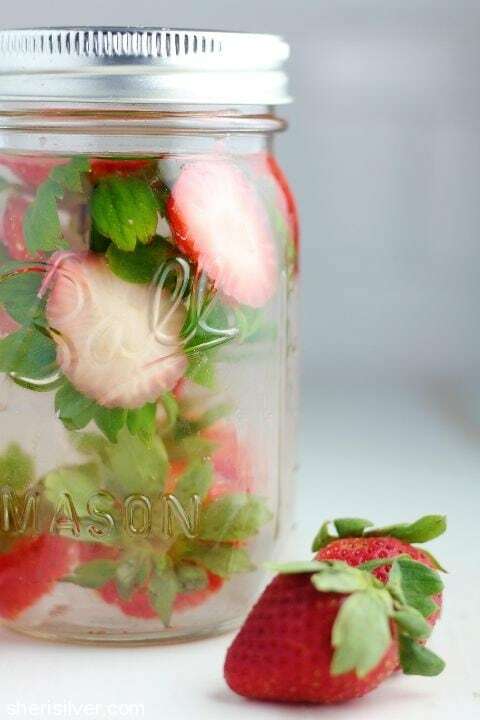 Simply toss your (rinsed) strawberry tops in a jar of water, cover and let sit for about an hour. What’s your favorite “hack” these days? Have a great weekend! Love!!! My favorite tip is the one you shared last year to rinse berries in vinegar and spin them with the paper towels so you don’t loose them as quickly. And since you wrote this, I’ve enjoyed two glasses of strawberry top water so far! 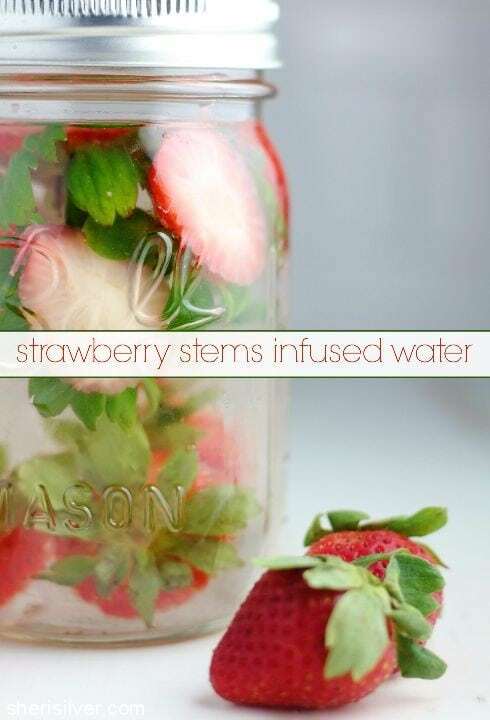 You can infuse vodka this way too. I’m just saying. I did it last summer with a huge batch of organic strawberry trimmings from Costco & the vodka turned hot pink. Fabulous mixed with lemonade! Shut the front door. I LOVE that tip!Thank you! Best idea! 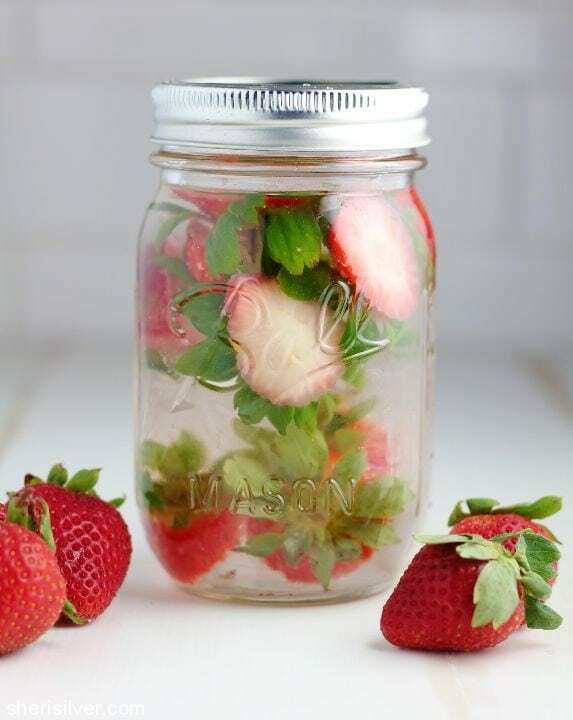 As I am now sipping my SSS (Sheri Silver Strawberry) water, it would be rude to not thank you for my new summer refresher. And NO calories!! Win-win.